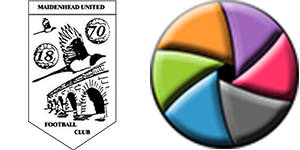 We became a media partner of Maidenhead Utd FC in October 2016. The Vanarama National League South promotion hopefuls joined the Non League Clubs who use our video services, with highlights and interviews from all home games at their York Road ground plus selected away games being provided, and a welcomed return for us to the league we have done the vast majority of our work on over the years. The club achieved promotion to the National League in the 2016/17 season – but it’s not just League opposition who were noticing Maidenhead. On 3 occasions we have had footage shown on Soccer AM on Sky Sports, as well as providing footage for a EuroSport feature on the club at the end of the season. We couldn’t complete the season without a montage or two….